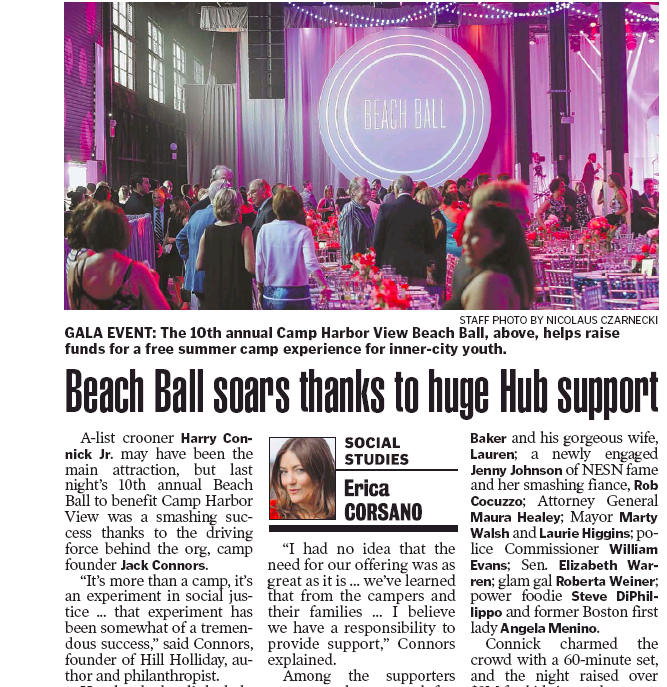 Saturday night marked the 10th annual Beach Ball to benefit Camp Harbor View, a pet project of Boston macher Jack Connors. Yesterday’s local dailies, however, featured very different versions of the shindig. 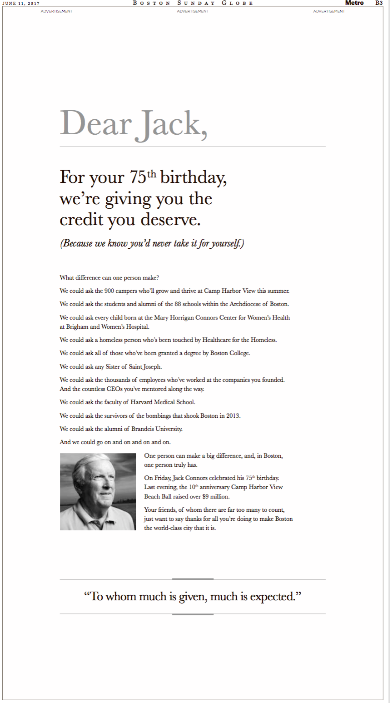 Start with this full-page ad that friends of Jack ran in the stately local broadsheet. Oddly, there was no actual coverage of the Beach Ball in the Boston Sunday Globe. Crosstown at the Boston Herald, there was of course no such ad-ulation from the FOJs. But there was this coverage of the event by the ubiquitous Erica Corsano. To be fair, today’s Globe does have this day-late-nine-million-dollars-short item in the Names column. That’s a lotta jack, eh?